Twitch is a great way to interact with our readers, so to that end we’ll be making use of Twitch to show you what we’re doing around these parts. From here on, we’ll be broadcasting frequently for short periods of time. We’ll review games live (which means lots of bloopers), show you what we’re playing and even give you quick hardware guides and reviews in too. To begin with, we brought to you World of Warships, and tried to explain as best as we could just how fun it can be, despite the somewhat annoying texture flashing issues making it apparent that it’s a beta. And what fun we had! Feel free to make suggestions in the comments and we’ll see about showing and walking you through your favorite games. [Original Post] World of Tanks is already a super successful game, with millions of players that enjoy the simple controls and well detailed tanks. But what about the newest addition that just entered open Beta? How does World of Warships play? We’ll be introducing the gameplay, how it works and going through a few matches to show you just how fun it may or may not be. 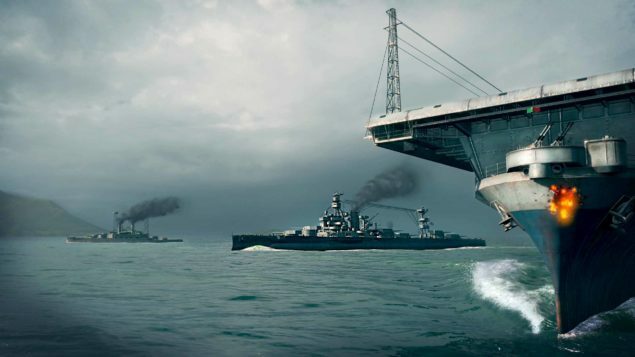 Are you ready to be part of a naval armada, wreaking havoc on other WWII ships?